More than 80 employers are expected to attend the 2019 Job and Career Fair scheduled for Thursday, February 28 on the Big Bend Community College campus. The annual job fair, which is in its 26th year, is the largest local event that places potential employees and employers under one roof. Employers at the event will represent a variety of industries including manufacturing, food processing, retail, service industries, health care, aerospace, education, and technology. BBCC programs that provide training for these jobs will be onsite as well. All participating vendors in the Big Bend Job & Career Fair February 28, 2019, will be on campus for employment purposes only. This is a community-wide event for ALL Big Bend students and members of the community. 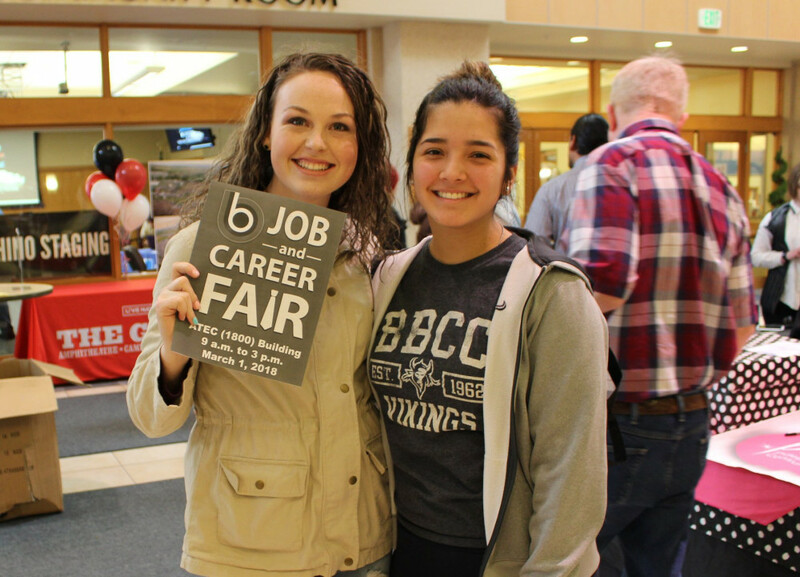 Big Bend Community College students attend last year’s Job and Career Fair. More than 80 employers and exhibitors are expected to attend this year’s event.